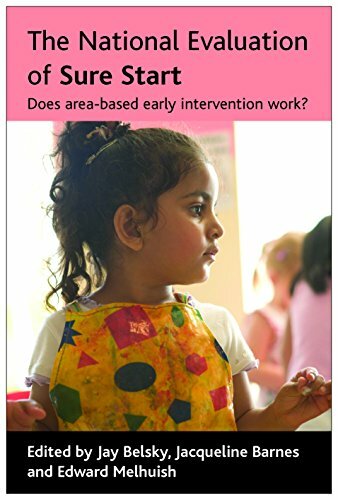 The National Evaluation of Sure Start: Does Area-based Early Intervention Work? Sure Start Local Programmes (SSLPs) was a major strategic effort by New Labour towards ending child poverty. By changing the way services were delivered to children under four and their families, through targeting and empowering highly-deprived small geographic areas, SSLPs were intended to enhance child, family and community functioning. Following 5 years of systemic research exploring the efficacy and impact of this grand experiment, this book pulls together, in a single volume, the results of the extensive National Evaluation of Sure Start (NESS).&nbsp; The book reviews the history of policies pertaining to child health and well being which preceded and set the stage for Sure Start. It provides insight into how SSLPs were expected to function and how they actually operated, both in terms of their strengths, weaknesses and costs. The contributors examine the nature of the communities in which these programmes were situated and how they changed over time; present the early effects of SSLPs on children and families, with evidence highlighting some small beneficial effects and some small deleterious ones and extract specific features of SSLPs that contributed to whether individual programmes benefited children and families, providing a guide for the revision of programmes and policies. With a foreword from Naomi Eisdenstadt, former Director of the Sure Start Programme and concluding chapter by Prof. Sir Michael Rutter, member of the government's scientific advisory board overseeing NESS, this book provides an insightful critique of SSLP policy and NESS that will be of interest to students of child development, families and communities, as well as policymakers and policy scholars, local and national providers of services to children and families and evaluation specialists.